EARCOS Leadership Mentoring (ELM)—the newest member service began at the 2016 EARCOS Leadership Conference. Several groups of school leaders have participated in the online orientation “course” over the past two years. EARCOS wishes to recognize and offer sincerest gratitude to members of the inaugural cohort of mentees and mentors currently engaged in leadership development in our region. Special thanks to Dr. Joe Petrone who facilitated this EARCOS Leadership Mentoring(ELM). Recognition of EARCOS ELM Mentors and Mentees who engaged in the Leadership Development online orientation course for two years. 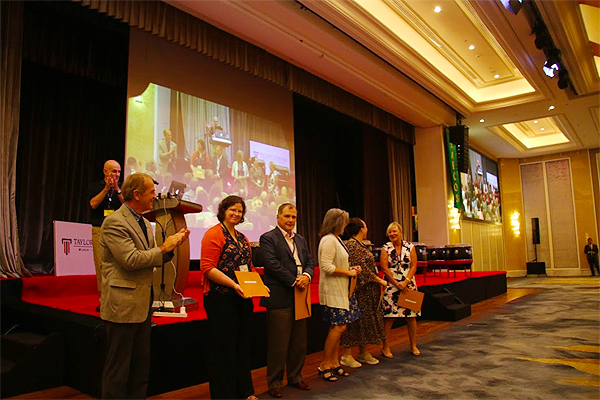 (L-R) Stephen Cathers (EARCOS Vice-president) giving the ELM certificates to the following mentors/mentees. 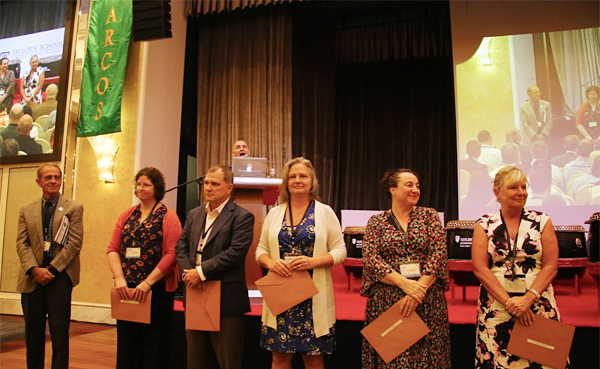 Katie Ham (Head of Upper School (10-12), Nanjing International School), Greg Hedger (Director, The International School Yangon), Tonya Parham (Director of Teaching and Learning for Secondary, Ruamrudee International School), Luci Willis (Deputy Head/Director of Learning, NIS – Japan), and Karen O’Neil (High School (ES) Principal, Aoba Japan International School). 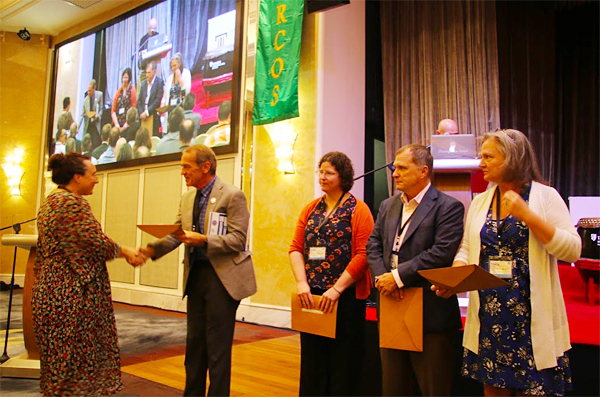 Luci Willis received the certificate from EARCOS vice-president Steve Cathers (Head of school, Internationa School Suva).